One-fifth of Iowa’s bridges are structurally deficient, as are more than 4,100 bridges in Pennsylvania. Twenty-three percent of bridges in Rhode Island are in that category. And, Washington, D.C., has eight of them. Want to see a structurally deficient bridge for yourself? The next time you visit the nation’s capital, walk to Arlington National Cemetery from the Lincoln Memorial. 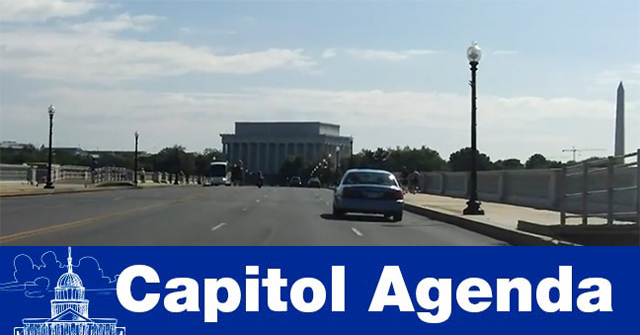 The Arlington Memorial Bridge between the landmarks is a structurally deficient structure. It looks it, too. Every day, cars, buses, and trucks take 175 million trips on 54,259 “compromised” structures, such as the Arlington Memorial Bridge. This is not to say these bridges are unsafe; they require certain upgrades. And some more than others. Alison Premo Black, American Road & Transportation Builders Association chief economist, crunched the numbers using the National Bridge Inventory, ahead of President Donald Trump’s State of the Union. The Builder-in-Chief will outline a strategy for repairing these bridges, so we can finally learn how lawmakers plan to make sure we spend less time stuck in traffic on shabby bridges that need to be fixed. Whether Trump announces a trillion-dollar or a $1.7 trillion infrastructure proposal during his annual address to Congress is important, but not as important as what Congress does with his proposal. Like the snows of yesteryear, prioritizing funding for modernizing bridges, roads and everything in between used to garner bipartisan consensus on Capitol Hill. Nowadays, leaders from both parties would be lucky to see eye to eye on the naming of a post office. The friction du jour between Democrats and Republicans stems from a splintered immigration debate that caused the recent mini-shutdown. The president and several Republicans are recently arguing for bringing back earmarks in funding legislation to ease gridlock on Capitol Hill. Others think doing away with the 60-vote threshold in the Senate would do the trick. Jan. 29-Feb. 4: Washington Auto Show at the Walter E. Washington Convention Center. Jan. 30, 9:30 a.m.: The National Transportation Safety Board meets to determine the probable cause of the American Airlines Flight 383 uncontained engine failure at Chicago O’Hare International Airport in 2016. Jan. 30, 10 a.m.: The Senate Environment and Public Works Committee hears from EPA Administrator Scott Pruitt. Jan. 30, 9 p.m.: President Donald Trump delivers the State of the Union. NAFTA: Prime Minister Justin Trudeau is preparing for the possibility the United States may pull out of NAFTA. For Canadian companies, the trade skirmish already has begun. ‘SPAGHETTI JUNCTION’: For the third successive year, Atlanta’s five-level stack interchange known as “Spaghetti Junction,” where Interstates 285 and 85 North intersect, is the most congested freight bottleneck in the nation, according to new research conducted by the American Transportation Research Institute. TESLA: A second federal safety agency has opened an investigation of an accident in which a Tesla car on “Autopilot” rammed into a parked fire truck. “I believe when D.J. Gribbin talks about repurposing funds, he means the elimination of TIGER grants. He’s just not going to tell a room full of mayors he’s going to eliminate TIGER grants.” — J. Christian Bollwage, mayor of Elizabeth, N.J. In Barron’s, Randall W. Forsyth details myriad “potholes” that potentially could break down Trump’s infrastructure vision. “Even after the president unveils the details of his infrastructure program, the road to its enactment may be as long and as bumpy as the commute on one of the nation’s pothole-pocked highways,” he wrote. Suddenly a car in the right lane to my front suddenly does a U-turn in the entire street right in front of us, to which we commented, if we were an automated vehicle and he was an automated vehicle, that wouldn’t have happened. So there was a demonstration for me earlier this morning. Sen. Bill Nelson (D-Fla.), ranking member of the Commerce Committee, recounting a near-crash experience on his way to a field hearing in Washington on Jan. 24. SNL on Amazon’s search for its second headquarters. Check one two: Atlantic Media’s Bill Lucia captures the DJ’s essence before the mayors. 1. Timing: Sent to Congress 1-2 weeks after State of the Union. 2. Revenues: Plan won't identify revenues to pay for the plan. 3. Cuts: Plan won't propose cutting existing formula funding programs.